You would have thought that once the placard in the slide had been read, and once that there was nearly universal acceptance of the translation suggesting that the body in the slide is that of a young boy, the debate would have ended. But this is ufology when nothing is ever ended no matter what the proof might be. It doesn’t matter what can be shown because there are those who won’t believe anything unless it reinforces their own belief structures. Such are the Roswell Slides and the placard. We are now told that it doesn’t matter what the placard says because we have all that “scientific” evidence from all those “authorities” who have examined the body on the slides. They say the body isn’t human and the placard is wrong. Well, I can explain that because what Schmitt said was not exactly right. They all worked from a download of the slide that had been put up on Adam Dew’s website, which was a higher resolution scan than previously available and was posted not long after the May 5 extravaganza. They applied various software to that scan and were able to read the placard with relative ease. It wasn’t just the RSRG but others, unaffiliated with them, in various countries, who also read it and came to the same conclusions. Tony Bragalia and an unnamed colleague in Europe discovered a journal article, published in 1938, which contained nearly the same wording, provided a few additional clues, and the location of the museum… a museum setting that Richard Doble said looked nothing like any of the museum settings he had ever seen but then he was apparently never at Mesa Verde. Schmitt and Carey had offered the scans to a number of organizations and individuals for their opinions on the placard. Schmitt has said that the Pentagon looked at it but couldn’t make out anything on it, implying that if the government couldn’t read then surely a civilian group wouldn’t be able to do so. Well, that’s not exactly the truth, the whole truth and nothing but the truth. David Rudiak is not an expert in photographic analysis, but has experience in attempting to read the Ramey Memo. Because of that, he was asked to look at the placard with the body but was unable to unscramble or deblur the image on the scan he was given. Colonel Jeffrey Thau is a retired Air Force officer who once had offices at both Wright-Patterson Air Force Base and the Pentagon. The Photo Interpretation Department had been moved from the Pentagon to Fort Meade, Maryland. Their expertise was not in attempting to read messages on placards in museums that were obscured but in interpreting photo intelligence of various kinds including ground based military facilities and movements. It seems that this failed attempt to read the placard wasn’t actually an attempt by the experts at the Pentagon or Fort Meade, but friends seeing if they could make out anything on the placard as a favor to Colonel Thau. To suggest the Pentagon had attempted to read the message and failed was, at best, hyperbole. Or, in other, more precise words, those tasked with reading the placard, were not the experts they were claimed to be. To compound the problem, it is obvious that the scans submitted for the analysis were not the high resolution scans promised and had probably been manipulated to obscure the wording on the placard. The failure was not with those who had attempted to read the placard but with those who provided the original scans for analysis. And this explains why they were unable to do so. It wasn’t until a better quality scan was available and it has a provenance that is traced straight back to Adam Dew that the placard was read. So, on the one hand, we’re told that they made a concentrated effort to read the placard but failed to do so. On the other hand, now that it has been read, and again, it seems that nearly everyone agrees with what it says, we’re told that they don’t care what the placard says. Seriously, we’re supposed to buy that. They had suggested that reading the placard was important and that information on it would be critical to understanding exactly what is on the slides. Now that it has been read, we’re told, by Doble that the placard was created as a diversion so that the true nature of the being on display wouldn’t be obvious. He explains that he believed the general population was unprepared to learn there was alien visitation. That was the reason the placard said was created. It was to obscure the truth. This is spin doctoring at its worst. The placard tells us what is on display. The journal article tells us more about the body. Now, with that information, we’re told that it is unimportant to what is on the slides. This is an indefensible position. But it gets worse. The actual slides might tell us more. It is my understanding that they were numbered and those numbers were nine and eleven. Where is number ten, and what is shown on that slide? Does it make it clear that the body is a mummy? Is the placard facing the camera so that it can be read without using a computer program to deblur it? What is unbelievable in this is that there is still an attempt to prove that the body is alien. And when the evidence argues against it, evidence right on the slide, we’re told that the slide promoters don’t care what the placard says meaning they don’t care what the evidence is. They still believe it is an alien because, I suppose, that is what they have to believe. No one wants to be this wrong about something they consider this important, this publically. But sometimes you just have to look at the evidence and realize that you blew it big time. He briefly addresses those who had read the placard suggesting that this is a mummy by telling us that he has worked with mummies for years, seen dozens or hundreds, and provides again, the reasons it is not a mummy. He suggests, I think, that the placard was created as a diversion so that the true nature of the being wouldn’t be obvious and that the photographs were not taken in a true museum setting. I don’t know where all he has been, but to me, that looks like a museum setting and there are evidence of other displays in the background of the slide. He also rambles off a bit on how the general population was unprepared to be saddled with the knowledge there are alien races. Because of that fear, the nature of the body was obscured… but then the question arises, “If you are worried about implications and reactions to an alien body, why put it on display at all? For those who are interested, listen to what Doble has to say about this. He certainly is quite knowledgeable but don’t let that be the only factor in making a decision about is shown in the slide. Think about everything that has happened since May 5 and make your decision from all of that. on popular culture. Cox wanted to know if he had any regrets about asking Carey to appear. That started a discussion about Carey and his revelation about the Roswell Slides at the discussion and also reminded me of another lecture in front of college students that was somewhat similar. The negotiations between the faculty and the spokesman for the lecturer took months to arrange, as the speaker wasn’t keen about being “evaluated,” but when the science students voted 100 per cent to hear the lecturer, he acquiesced. Of these, 80 per cent said, after the lecture, that they were “impressed.” By a show of hands 60 per cent indicated they believed the man knew what he was talking about, that he obviously was a member of the group of scientists he described as having examined space ships which had landed on this earth from, in all likelihood, another planet. More, they believed the mystery man of science had the best answer to the secret propulsion behind these flying saucers and that it was neither combustion nor jet. 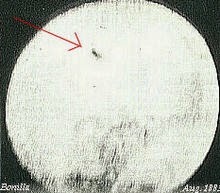 William Steinman added a little to this in his UFO Crash at Aztec, published in 1986. He identified the instructor of the class as Francis F. Broman, who taught a basic science course. Steinman wrote that Broman had actually invited George T. Koehler to give the lecture, but Koehler said that his friend knew more about the subject, so it was Newton who gave the talk. Steinman also mentioned that an intelligence officer had contacted Broman to learn more about the lecture. When Broman said that he hadn’t believed the tale but that he didn’t speak for everyone in the class that seemed to satisfy the officer. The call was terminated. 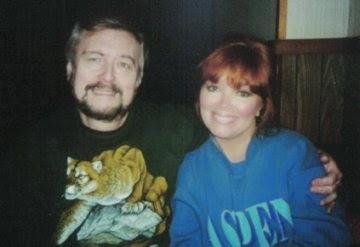 William E. Jones and Rebecca D. Minshall took up the investigation and reported their findings in the International UFO Reporter for September/October 1991. While they suggest that Steinman had almost everything right about the lecture, they reported that the name of the class, rather than Basic Science was Science and Man. Well, I’m not surprised by the threats of a lawsuit. That seems to be standard operation procedure in the world of the UFO. But the important points here, are the facts about the lecture, including that the professor and the students found Newton’s claims and evidence unconvincing. So, fast forward 65 years. And here’s my point. Not much has changed in those 65 years. In 1950, the students, according to the best accounts, were not impressed with Newton. The reason was probably the lack of evidence. It was heavy on speculation and if you reject the Aztec crash, then it was heavy on fabrication. With Tom Carey, the students, according to the best accounts, were not impressed with Tom. The reason was probably the hyperbole of his remarks and the lack of evidence. Of course, today, we know that the major problem is that the source of his information, those slides have been uncovered and that the body shown is not alien. Rather than chase footnotes, I thought I would chase some trivia because that’s what we seem to be doing here lately. I had thought that once the body in the slides was identified as an unfortunate child from hundreds of years ago, we could be done with that discussion. What more could be said? Arguments about the number of ribs or the other deformities, which could be the result of a “natural” mummification, seem to be useless. It really doesn’t matter at this point because the mummy has been identified, its location has been identified, and what happened to it has been identified. It was returned to it ancestor’s as federal law required (Native American Graves Protection and Repatriation Act of 1990 for those who wish to know). All that seems to be a matter of record so that we could move onto other discussions, but we’re caught up in the trivia of number of ribs and other obscure deformities. And I hear that there are still discussions about the typeface used on the MJ-12 documents or more specifically, the Truman memo which was attached to the Eisenhower Briefing Document. It would seem that once the fatal flaw had been uncovered there that we could move away from the nonsense of attempting to determine who had what typewriter in the White House more than half a century ago. It matters little what typeface that typewriter used when the tale of the UFO crash in the El Indio area has been found to be a hoax told by a man who was never a fighter pilot nor an Air Force officer. 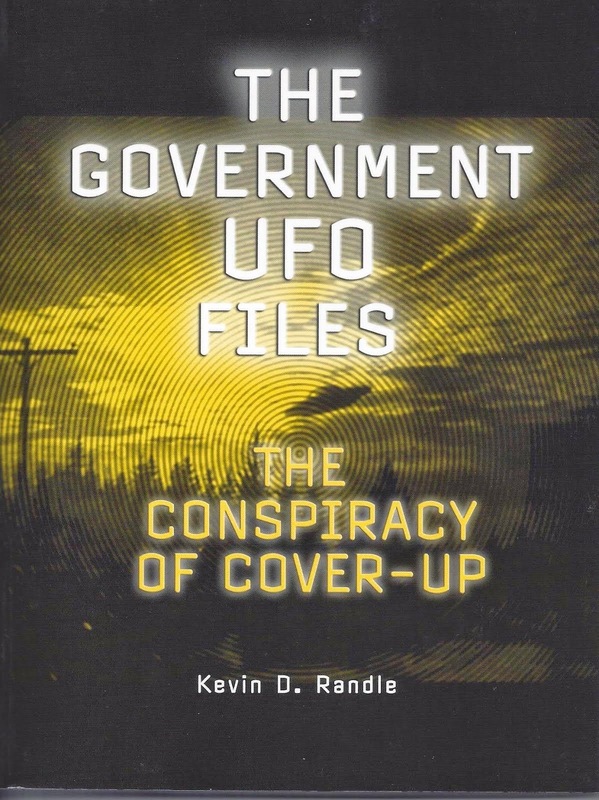 It would seem that the shifting nature of his tale, from the number of UFOs involved, to the date of the incident and the area of the crash would be enough to sink his tale which is reported in the EBD. If that story is a hoax that wasn’t invented until the 1960s, or that the crash that is now claimed to have taken place two or three years after the EBD was written, that would be enough. But no, we’re still caught up in arguing over the trivia of typeface and other unimportant factors because these other things simply can’t be explained. But the trivia of trivia seems to be the short and limited discussion of Brad Steiger’s real name. Seriously? Yes, he was born as Eugene Olson, and if you look at the copyright page of some of his earlier books, it lists the copyright owner as Eugene Olson. 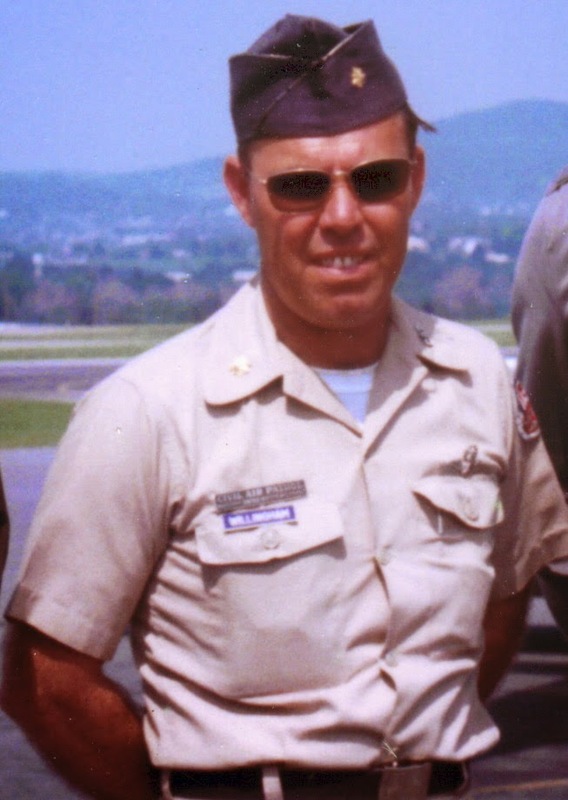 I knew that was his name in the 1970s, and I knew that he taught in Decorah, Iowa, so I called directory assistance (which is what you did in the days before online white pages and the Internet). They gave me the telephone number of Eugene Olson and we had a very nice chat. He wrote under the name of Brad Steiger and sometime in the late 1970s, I believe, legally changed his name to Brad Steiger. So the point being made was moot because his real, legal name was Brad Steiger. In fact, for those searching for the real names of writers, sometimes all you have to do is look to see who holds the copyright because that will often be in the writer’s real, legal name… though not always. Thinner, which we all know was written by Stephen King is copyrighted in the name of Richard Bachman. 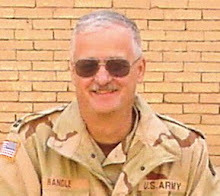 My own books, Wings Over Nam is copyrighted by Cat Branigan rather than Kevin Randle (hey, don’t blame me; I didn’t pick the pen name). The point here is that we engage way too often in discussions of trivia rather than focusing on the more important, overriding issues. I don’t know if it is a desire to be right even if it is just one small segment of the discussion or if it is just stubbornness. Maybe it’s a way to keep a topic going or maybe it’s just to be contrary. Whatever the reason, it seems to me that we ought to let go of the trivia and confine ourselves to discussions of the more important points… and for those wondering who makes that determination… here, on this blog, it’s me. It would seem like I've been here before... Asking my friends and colleagues to accept my sincerest apology for my participation in the recent event in Mexico City. I accept full responsibility for the fact that I allowed myself to be drawn into this situation, albeit with the best of intentions, I sacrificed my better judgement by being overly trusting when I should have known better. As one strives to make up for the mistakes of the past, there are times that emotions cause one to outrun their headlights. In my case, I ran it right off the road. Through the years I have worked hard to earn back your respect and confidence in my work only to presently jeopardize it all. For that I am especially remorseful. I am afraid that after spending almost half of my life devoted to one specific investigation, I allowed the allure of final resolution cloud my skeptical nature to be replaced by a false vision of hope. I now realize that the image in the slides is a mummy as specified by the display placard. At this time I consider the matter concluded and intend on moving forward. My only desire is that you try to understand that I never willfully did anything to mislead or misrepresent what I thought was the truth and I only acted with the best of objectives. Still, if I have offended or hurt anyone through my participation in this event, you have my deepest apology and have every right to hold it against me. When the truth finally was made known to all of us, I realized that I could only blame myself for not only failing you, but more sadly, failing myself. I must do better. And with God's help and your understanding, I promise I will. Yes, I know, but this really isn’t about that. It’s about lessons learned and what we all can do to improve the state of UFO research… though at this point it might be a lost cause. There were two loose groups operating here. One of them was engaged in secrecy and nondisclosure agreements and limited release of information. The other was an international coalition that shared all the information they could and relied on the expertise of their members to get things done. In one case, the story kept building to a climax that was less than accurate (to put it kindly) and the other solved the mystery rapidly. Had the information been shared the fiasco in Mexico could have been avoided. So, what is the take away on this? 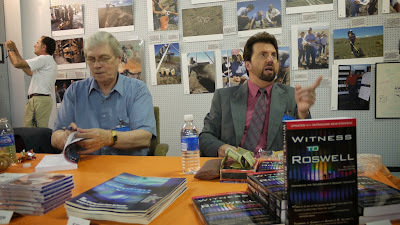 We have the opportunity here to engage in changing the face of the research in the UFO community. We could create a coalition made up of believers and skeptics and try to avoid the rabid ends of the spectrum whether true believers or debunkers. We could work together to share information about cases and attempt to come to a consensus about it. We have seen, in recent years, that better knowledge, better education and access to the World Wide Web, allows us to solve cases that were once puzzling. Back in July 1947, Major George Garrett, at the urging of his boss, Brigadier General George Schulgen, created a mini Estimate of the Situation. It consisted of some eighteen cases that they found puzzling and asked for assistance in solving them. In today’s world, some of those cases aren’t particularly puzzling. Solutions have been offered and some of that, I think, are the results of investigators who are no longer overwhelmed by the information. I mean, that assumptions, such as these people seeing something strange in the sky would be able to tell the difference between something truly strange and something mundane, are not being made. We now know that sometimes conditions converge to fool even the most careful and experienced observer. The point of this is that we have better techniques, we have access to a wide range of information and we can communicate easily with others around the world. It seems to me that a loose coalition of researchers, bringing their expertise to bear on a particular problem or sighting might resolve that sighting in a matter of hours or days and give us some insight into what is happening. I don’t believe we’d want to create a formal organization simply because that could result in a “corporate” philosophy that would dictate results rather than search of a logical and solid answer. It would have to be made up of people from across the spectrum so that a charge of pandering to a specific belief structure would not be a valid claim. The members of the coalition would ebb and flow with the sightings because sometimes specific expertise would be required and other times it would not. It would seem that a web site, blog, or Facebook page could be created that would facilitate the communication and where results could be published. The activities of the Roswell Slide Research Group is a good model for the beginnings of this because, once they had the proper material (meaning a good quality scan of the slide) they were open and transparent, providing the information to anyone who cared to look at it. And so it shouldn’t be forgotten, their results were replicated from a half dozen other sources around the world. This would also provide a forum for peer review, which is something I have advocated for fifteen years. Instead of hiding information behind a veil of secrecy, it is all open to be discussed by those who had knowledge of the situation and of the various disciplines necessary for unraveling the mystery. And finally, some of the nasty and snarky things that appear in the comments section of this blog and so many others would have to be eliminated. The assumption must be that all of us are searching for the truth and not just to impress our own belief structures on others. Sometimes the answers will be simply and obvious when all the information is available, and sometimes there just might not be an answer. This would be a search for answers whatever those answers might be and not an advocacy for a point of view. We believe that the recently released "reading" of the placard by the so-called "Roswell Slides Research Group" is still open to debate. Ever since Don Schmitt and I became aware of the slides three years ago, our modus operandi has been four-fold: (1) to authenticate the age and integrity of the slides; (2) to obtain professional anthropological and forensic opinion as to what the body on the slides represented; (3) to find out as much as we could about Bernerd and Hilda Blair Ray, the long-deceased owners of the slides; and (4) to "read" the placard located at the foot of the body on the slides. We physically took the slides to Kodak's historian, who is an expert regarding Kodachrome., and, using several parameters of interrogation, he determined that the slides dated from the 1947-49 time period (manufacture to exposure). For the most part, the American anthropologists we contacted did not want to even look at the slides when they learned that they might be "UFO-related." Those who did, however, did so "off the record." They all concluded that the body on the slides was not that of a mummy but possibly that of a congenitally deformed child. Fortunately, we were able to secure Canadian and Mexican anthropologists and forensic anatomical experts who went "on the record" at our May 5th "beWitness" event in Mexico City. In short, their detailed presentations concluded that the body on the slides was: not a mammal, not a primate and not human. One, Richard Doble, after a detailed morphological examination, concluded that the creature on the slides did not evolve on earth. You already have Doble's report, and the report of the two Mexican authorities is still in translation. The Rays had no children or close relatives we could interview who could shed some light on their activities. Bernerd was an oil geologist whose zone of activity was the Permian Basin of west Texas and eastern New Mexico. He was also the President of a geological society in west Texas. Hilda was an oil attorney in Midland, Texas and an amateur pilot who, according a friend in the nursing home where Hilda passed away in 1988, was also friends with Mamie Eisenhower (General and later President Dwight D. Eisenhower's wife). There are a number of color slides in the collection that do appear to show Mamie Eisenhower in various situations. Prior to her death, Hilda Ray bequeathed almost $1M to the American Association of University Women. Regarding the placard, we quickly determined that (1) its content would be key to interpreting the slides; and (2) we could not read it. So, we sent copies to Dr. David Rudiak and Dr. Donald Burleson. Both had done exemplary work in trying to decipher the so-called "Ramey Memo" - a situation very similar to placard issue here. Both responded to us that the placard was "unreadable." Through a contact, we had the Photo Interpretation Unit at the Pentagon in Washington, DC take a look at it. They said that it was "unreadable." A copy went to a company in New York now requesting anonymity that conducted the analysis on a major historical artifact. That company's response to us was that the placard was "unreadable." Another copy went to the people at Adobe, Inc. (manufacturers of Adobe Photoshop and the Adobe Reader on your computer). Their response? "It's unreadable." A copy also was also sent to aggressive Roswell researcher Anthony Bragalia who also reported to me that it was "unreadable." (Bragalia has now aggressively joined in with our critics). Our own computer guy says that he applied the "SmartDeblur" software to the placard over a year ago without any success. He did so again this week to an enhanced, sharper version of the placard with the latest edition of the "SmartDeBlur" program, again without success. Now, we are told (not asked) to believe that a cast of characters, one of whom has clearly become unhinged and was himself party to a known UFO body hoax some years ago, has used the same program (SmartDeBlur) on a distorted, "screen-grab" of the placard and is somehow able to "read" it when all of the above, some of whom had much more sophisticated equipment and techniques at their disposal, could not. I ask you, what's wrong with this picture? Finally, lost in all of the vile invective being hurled our way by the members of the RSRG and their fellow travelers, is what the analysis of the physical body on the slides is saying. The RSRG has used a note from an obscure late 1800's journal to weave their tale that the slides show the "mummified body of a two year old boy" (the word "mummy" or "mummified" appears nowhere in their alleged de-blurred "reading" of the placard). In their excitement to play "Gotcha!," it apparently has not crossed their thought processes (I'm being charitable here) that a mummy of a two year old boy several thousand years old would be less than half the size of the body shown on the slides! So, what are we to make of all this? Jaime Maussan, Tom Carey and Don Schmitt, relied on all of the above to reach the conclusions that were reached. They were not our conclusions but those scientists we consulted. We have, at this point in the proceedings, have sent out additional copies of the placard image to third parties whose opinions we can trust to run the SmartDeBlur application on it and are prepared to abide by their findings, wherever the chips fall. Now that we have a final answer to the body shown in the Not Roswell Slides, it is time to end the madness. There isn’t much more to be said. After two or three years of this nonsense that involved nondisclosure agreements, secrecy and a trickling of information into the public arena, the situation was put to rest in just a few hours. Once good quality scans, with a proper, established provenance were available, the placard was read with little difficulty and the location of the mummy identified. I will note that Mesa Verde is not all that far from the New Mexico border or all that far from Midland, Texas, since that had always been an issue for some bizarre reason. Tom Carey and Don Schmitt in happier times. Photo courtesy of Alejandro Rojas. 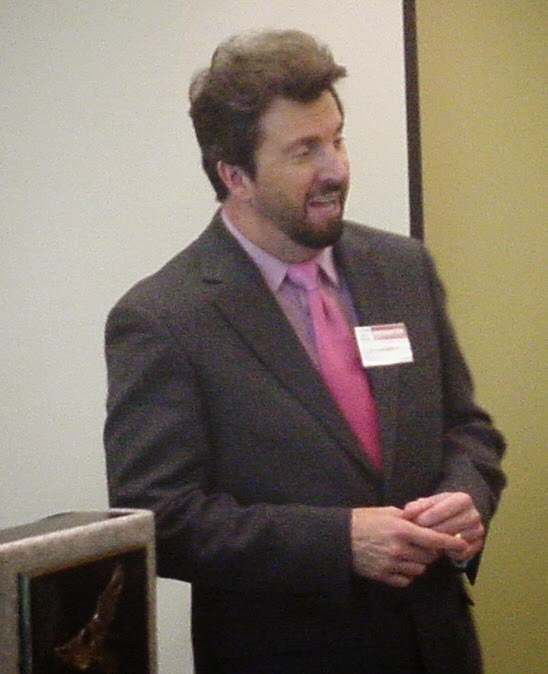 When I first learned of the existence of the slides, not from my "pals" Tom Carey and Don Schmitt, but from a posting to Rich Reynolds UFO Conjectures, I was somewhat dubious but also interested. But I understood their desire for secrecy and there was that pesky NDA. Had no information leaked, they could have carried out their research in private… but what would the outcome have been? They didn’t take advantage of their opportunity and all their research looks to be a little silly given the final outcome of this episode and how quickly that happened. Had they not been so secretive, had Adam Dew not been there pulling strings, had Tom and Don demanded to see the actual slides and get high resolution scans of those slides, they would have learned within hours that the body was a mummy, the placard said it was a mummy, and they could have been home on May 5th enjoying the weather rather than flying off to Mexico City where they proclaimed they had pictures of an alien creature. Months ago, before I had seen the screen grab, I asked Tom if it was possible this was a mummy. He told me, “No,” and that they had looked at hundreds of pictures of mummies and found nothing that matched… but I think he was looking for an exact match as opposed to a general agreement with the features. Anyone who saw the picture knew almost immediately is was a human and not an alien. Anyway, the point here, quickly, is had the data been shared earlier, the answer would have been found earlier and the huge embarrassment of Mexico City could have been avoided. I don’t know how they could have been so completely duped without some sort of cooperation on their part. Had the data been shared, the resources of the Internet could have been brought to bear and this episode would have died quietly, never even becoming a footnote in the Roswell case. I suppose the second great reveal, scheduled for the International UFO Museum and Research Center in Roswell this July will be cancelled. There is now nothing to report other than there are no Roswell Slides . If I receive any communications from either Don or Tom who wish to express any thoughts on this, I will publish them without editorial comment from me. If there is nothing forthcoming from them, this will be the last of my Not Roswell Slides postings. Several days ago a group of skeptical researchers applied a program called “SmartDeBlur” to the placard found juxtaposed near the being pictured in slides from 1947 thought to be of an extraterrestrial creature found crashed at Roswell. This author championed the slides as those of an alien and this author was wrong. This paragraph corresponds directly to the slides placard: the mummified body of a two year old boy, three small cotton blankets (the word “three” understandably seen by the de-blurring program as “these”) and Mr. Xxxxx of San Francisco, California. The word “hoax” has been used to describe the “Roswell Slides” saga. It was not. At least, the principal investigators, Tom Carey, Don Schmitt, and I did not knowingly fake or obfuscate anything. No matter, it is a serious case of mistaken identity, the consequences of which I fully accept. I was told that the best-available, highest resolution images of the placard were provided by the co-owner of the slides, Mr. Adam Dew, and given to world-class photo experts including Ray Downing of Studio Macbeth in NY (who conducted analysis on the Shroud of Turin) and Colonel Jeffrey Thau (who sent them to the Pentagon’s Photo Interpretation Department.) Despite the application of the best de-blurring software in the world, they were unable to read the words on the placard with any definitiveness. I can only surmise that Mr. Adam Dew did not provide to these experts the highest-resolution images of the slides. Why he did not, I cannot be certain. But Adam Dew has to this very day not yet publicly provided the crystal-clear slide images that I know exist. And Adam Dew in an email to a German researcher just two days ago, accused the skeptics who applied the SmartDeBlur program to the placard of using Photo Shop to fake their interpretation of the text. Given the discovery of the Mesa Verde Notes which clearly corroborate this interpretation, it is not the skeptics who faked anything. Mr. Dew has some explaining to do. He has provided at various times to researchers different segments of the slides, partial images of the slides, and images of the slides of varying resolution. We can ask why, but I think we know without asking. Dew’s motivations were from the very beginning very different that those of mine, of Tom’s and of Don’s. 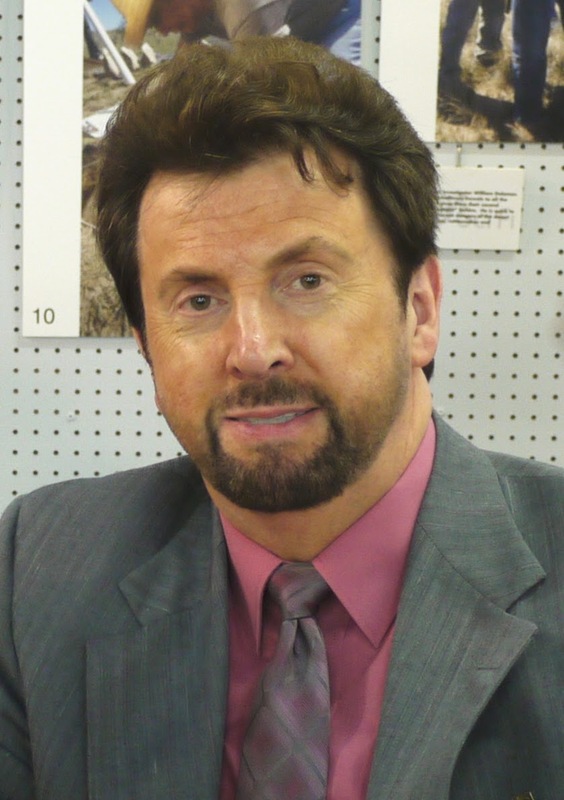 He is new to the UFO field and has no stake in it as those who have spent years in such study. Unlike the placard images that he provided, it is not hard to read between these lines. The data points and the narrative of the slide are all true. The slide stock is from 1947, the very year of the crash. A Roswell vet from 1947 who actually personally viewed the dead bodies found fallen at Roswell did see similarities between what he saw and the being shown on the slides. Bernerd Ray and Hilda Ray, the original owners of the slides really were very well connected people. Bernerd really was an oil exploration geologist who worked the Permian Basin in New Mexico the 1940s and really was the President of a geological society in 1947 that covered New Mexico and he really did quit the organization after his 1947 term. His wife Hilda really was a prominent oil industry lawyer in the 1940s who very likely was friends with Mamie Eisenhower. They really did hide these slides in a chest only to be found decades later after their deaths. The being depicted in the slide is of an extremely unusual appearance, is unusually well-preserved and does bear strikingly odd features. But all of this must be a series of extraordinarily incredible coincidences. My guess is that Hilda hid the slides of the mummy child within the chest because she felt some sort of guilt that they were in some way exploitive. She was a childless woman. She likely read that Mr. S.L. Palmer’s father had stolen the mummy child and that Palmer’s son, with a sense of guilt, returned the child to its rightful place. I have learned much about myself and things that I need to change in order to become a better researcher. I must be less trusting, more discerning and less accusatory of those with whom I disagree. But more than this, I must offer my sincerest and deepest apologies to the Native American people of the Southwestern United States. One of their children, a dead child from well over a century ago, was made a spectacle. Whoever you are, you deserve to be extended dignity and respect. 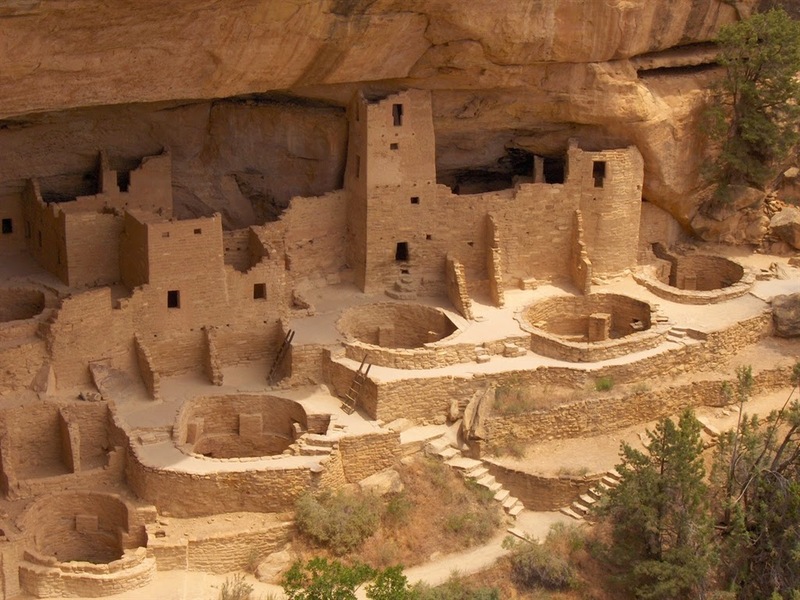 Your people, the Ancestral Puebloans, honored you by preserving you. I played part in disturbing your eternal rest, and for that I am so very sorry. Though I did not seek nor receive any money from any of this saga, and though my efforts were sincere and my offense unintentional, I am making a substantial donation to an American Indian children’s charity and encourage everyone else who played part to do the same. I will freely admit when I was told, during a telephone conversation last night (May 8) that two groups, working independently, had come to the same conclusions about the placard near the body, it didn’t overly surprise me. They both said the first line proved it was a mummy of a child. I didn’t disbelieve this claim because to me, it looked like a mummy and I was surprised that Tom and Don would go off on a years’ long search for some answers given the look of the slides. If this is accurate, then the discussion ends at this point and we can relegate the slides to the footnote they should be. The evidence at the moment suggests that it is, though the reading of the placard is not universally accepted. Tony Bragalia, late last night, provided a number of scans of the placard that seem to argue against the ease with which others said they had deciphered the words. The problem is that Tony’s scans all originated in the same place and that is with Adam Dew. These scans are difficult to read and seem to suggest that those who say they can are engaging in wishful thinking (my analysis and nothing that Tony said). Tony thought that I shouldn’t have posted anything until I had consulted with others, but I had done that last night and have been doing this today. To me the question is too important to let it slip away now. If nothing else, that posting, along with those by Rich Reynolds and Frank Warren have stirred up the conversation and provided some additional clues to what has been going on. In fairness to Chris, I asked him early this morning and he replied early this morning. Isaac Koi replied late this afternoon and said, “I think the position in relation to the analysis of the placard is now beyond any reasonable doubt.” It is a position that others have taken up as the day wears on. Although there had been some questions about the provenance of the slides, and this would be worrisome this question has been resolved. Dew, as SlideBox Media, has not released an unmodified high resolution scan of the slides as had been promised but he did place a better scan on his web site. Using that scan it seems that the first line has been read with reliability by many different individuals using a variety of techniques on a variety of the released images. He has provided, at his site, a better scan, so any questions of provenance have been rendered moot. Paul Kimball, who has been recently and unjustly vilified for his anti-slides stance, has published additional information over at The Other Side of the Truth, and has linked to another site that seems to confirm that the placard does identify the body as human. In the interest of full disclosure, that other site is operated by the RSRG. Kimball’s earlier comments do seem to suggest a bias, but then, the evidence, as it stands now, seems to support his and the RSRG’s interpretation. I did contact other members of the RSRG individually. Lance Moody believes that they had read the placard with a high degree of certainty and that suggests the body is human. I suppose you could argue that the RSRG is made up of rabid skeptics, with a couple of exceptions, but that doesn’t actually negate their findings, especially if others not affiliated with them are coming up with the same reading. It seems that if there is manipulation going on here, it is on the part of Dew, who is keeping the debate alive by not releasing the high quality scans he said it would… and by suggesting that those offering a counterpoint are involved in a scam of some sort. I just wanted to add a little bit more info regarding the on-going debate into the alleged Roswell slides. 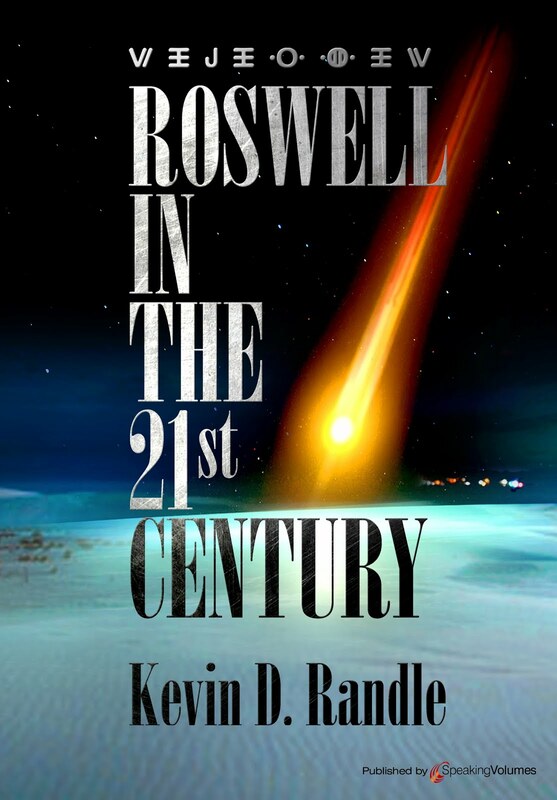 Unfortunately this last week I have been a little bit under the weather, however, this did allow me the opportunity to sit with my feet up in my ufological armchair and see if I could obtain a quote or two from a variety of experts regarding the alleged Roswell slide. Basically all I did was email a polite request to a number of academics and institutions respectfully asking them to comment on the photo (slide) in question. Some came back and stated that they didn’t think the photo was of good enough quality to comment on, others requested more details, some did reply but when I asked if I could quote them they declined. There are a number though that did indeed reply and give me permission to quote them. Personally I believe I’ve spent more than enough time on this sham already but for the record I am providing here two of the replies I obtained. They are unedited and all they were sent is the so-called Roswell slide photograph. Again, for the record, none of the academics I contacted came back with a reply that they thought the photo depicted an alien. I confirm that the photo is of a mummy of a child, possibly Peruvian or even Egyptian. Okay, it is a mummy, but very hard to tell if it Egyptian, South American or European. I see no wrappings of any kind, it appears to be a child or youth. Do you have a provenance on the slide??? That may help the determination. You are of course free to make of these comments you will as they are simply my humble attempt to help try and get to the bottom of what I believe is a very sorry saga. There will no doubt be those that question the abilities of the two above ladies to comment on this matter but so-be-it. The one thing that I can say regarding the above two comments is that they have both been made independently of any of the promoters of the ‘Roswell slides’ and therefore in my opinion are a great deal more credible. You can choose to agree or disagree of course but this is just one way to try and bring the matter to an end as quickly as possible in my humble opinion. So, while those who support the slides talk of scientists who don’t believe the body is human, there are other scientists who believe it is. But that’s not the real take-away here. It is the statement by an American about the slides. 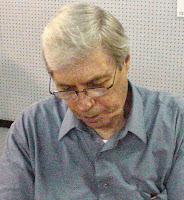 Don, during one of the interviews said that Tom had failed to interest any American scientists in looking at the slides or voicing an opinion about them. Philip seems to have done that and has some sort of response by an American scientist, which just shows you can find someone with credentials to support your point of view as long as that point of view isn’t too extreme. The real point is that if the first line does identify the body as the mummy of a human child, then a search for an exact match is irrelevant. In fact, an exact match isn’t necessary because the body in the slide looks an awful lot like many of the other mummies that have been identified from around the world. And, of course, it is not up to those who believe it to be a mummy to prove it, but to those who claim it is an alien to prove it. This they haven’t done. We might have taken this as far as we can at this point. We might have solved the “mystery” of the alien in the slides, and all the other discussion, discourse, allegations, and claims have been rendered moot by those who were able to read the placard, it turns out so easily.